In the grand scheme of things it didn’t even register a blip. Four people arrested in an obscure auditorium in a place whose name has a certain regal air to it -- Kensington. But this wasn’t somewhere in England. No, it was in Maryland, well south of the Mason-Dixon Line, in a county with the disgraceful heritage of kidnapping, enslavement, lynching, Black breeding farms, covenants to keep Blacks and Jews sequestered and ethnic cleansing high on the list of priorities that have informed every county official since before the Emancipation Proclamation and their systematic erasure of that history both physically and from public consciousness. 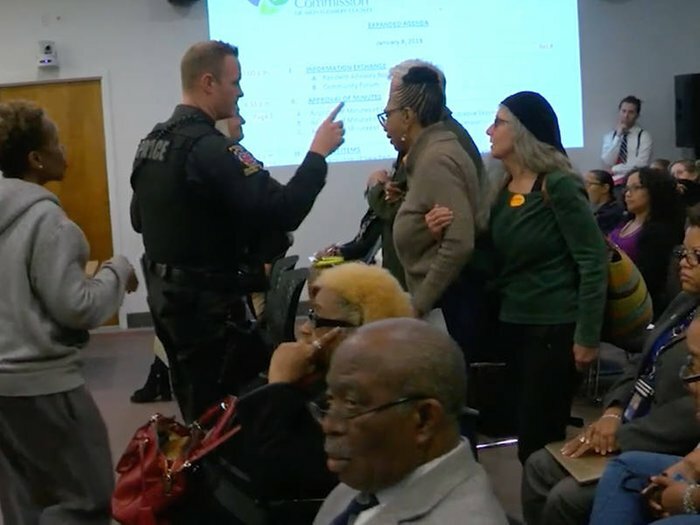 “Let our ancestors rest!” was the refrain repeated last Wednesday, as peaceful protesters once again challenged the Montgomery County Housing Opportunities Commission (HOC) to stop its desecration of the Moses African Cemetery in Bethesda, Maryland. These protests have been ongoing at HOC’s monthly board meetings for over two years. This property is known to hold an African cemetery -- where plantation owners “dumped” their human property from West and Central Africa. In 1910, a Black benevolent society called the White’s Tabernacle No. 39 lodge of the Ancient United Order of the Sons and Daughters, Brothers and Sisters of Moses purchasedthe land for use as a burial ground for the Black communities of Washington, DC (TenleyTown) and Bethesda, Maryland. In 1950, through sometimes violent corporate and government collusion the Black Community in Bethesda that had survived the terrorism of slavery and reconstruction was forced to flee their homes leaving Moses Cemetery open to total desecration by developers and local government. Moses cemetery was desecrated to make room for a parking lotadjacent to a high rise called Westwood Towers, owned by HOC. Current protests were sparked when members of the only remaining Black church in Bethesda, Macedonia Baptist Church, found out about the existence of the Cemetery. The County had taken great pains to hide all information about the existence of this burial ground. In collusion with multi-billion dollar development investors, the County approved plans to build a garage and additional apartments atop of Moses. Those plans were stopped abruptly by the power of a people’s movement that forced both corporate and government enterprises to stand down. HOC, purchased the property for $20.5 million, knowing that the cemetery holds the remains of hundreds, perhaps thousands of Africans – both those enslaved and born after Emancipation. HOC’s stated mission is to provide affordable housing for low-income families, thereby protecting it from paying local, state or federal taxes -- but that is only one part of the equation. 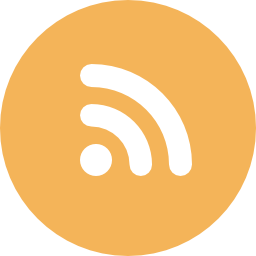 The other part of the equation is that HOC is also, according to its Executive Director, the largest housing developer in Montgomery County – one of the wealthiest counties in the US. Making profit, therefore, is at the center of their housing decision and the driving force behind their unstated mission. After two years of suffering through HOC stonewalling and duplicitous behavior, the Bethesda African Cemetery Coalition made the decision to engage in civil disobedience. On Wednesday, January 9th scores of protesters descended upon the HOC during its monthly commission meeting. Four protestors were arrested by armed police: Dr. Tim Willard, Mary Rooker, Lynn Pekkanen, and myself on charges of disturbing the peace. Our court date is expected in mid to late March. There is pending legislation before the Maryland State Assembly to empower an inspector general to look into fraud and corruption at HOC. Rev. Dr. Segun Adebayo, Pastor of MBC, stated during the HOC Commission meeting: “Corruption is rampant at the HOC, not only does our group have serious grievances but their customers, the tenants, are outraged, and so are their workers -- just ask someone at the UFCW. And, of course, our ancestors resting place remains in a state of desecration." PNC bank provides a line of credit for HOC’s investment in Montgomery County property. The Bank recently purchased Riggs Bank, a bank with deep roots in the slave trade. Riggs Bank was a successor of the Columbia Bank of Georgetown, established in 1793. Banks, such as Columbia, were at the center of the European/American kidnapping-slave trade and used Africans as collateral for investment in stocks and bonds. It was a $20.5 million dollar line of credit from PNC that allowed HOC to purchase the Bethesda African Cemetery thus completing a wretched circle of profit on the backs and blood of African people. What a difference elections can make (most recently by bringing Elrich to power and in the preceding election by imposing term limits on Council members): where immediate past-County Executive, Ike Leggette acted like the phrase “Moses Cemetery” had treble hooks, and by initiating a mediation process in tandem with then-County Council President, Roger Berliner (Berliner enacted his own faux initiative in the form of “cemetery protective” legislation that would not apply to upwards of 90% of the land in Montgomery County) they attempted of to get the protests behind closed doors and muzzled. The question is how long can County officials keep this dirty little secret from the national spotlight. The little blip of four arrested in Kensington, Montgomery County, Maryland is also another brick that has been laid down on the road to exposing the inter-generational evil of white supremacy and the notion that Black lives are disposable and our contributions of little consequence. That the Housing Opportunities Commission saw fit to call in armed police to put down this small insurrection is a very good indicator that as seemingly inconsequential as it was, those in power -- who stand the most to lose in the long arc toward justice -- have taken notice. Dr. Marsha Adebayo is the author of the Pulitzer Prize nominated: No FEAR: A Whistleblowers Triumph over Corruption and Retaliation at the EPA . She worked at the EPA for 18 years and blew the whistle on a US multinational corporation that endangered South African vanadium mine workers. Marsha's successful lawsuit led to the introduction and passage of the first civil rights and whistleblower law of the 21st century: the Notification of Federal Employees Anti-discrimination and Retaliation Act of 2002 (No FEAR Act). Marsha was inducted into the Maryland Women’s Hall of Fame, March 2017. Currently, she is working to stop HOC from its continue desecration of an African burial ground in Bethesda, Maryland.